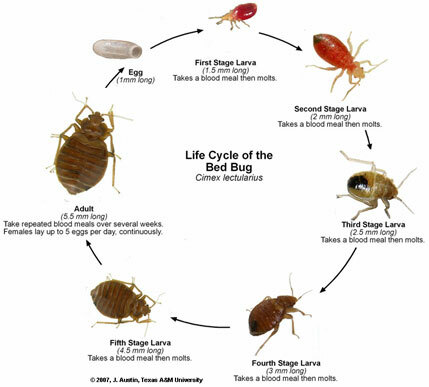 There was a time when Bed Bugs were almost extinct here in southern california however, over the last few years, Bed Bugs have become much more prevalent. Quality Commercial Pest Control will do a thorough inspection and identify all areas of infestation to create an intensive Bed Bug treatment. Quality Commercial Pest Control can treat using heat and steam machines designed to kill immediately all active infestations of bed bugs. Although their bite can cause irritation and even infection, Bed Bugs do not carry or transmit diseases. Bed Bug bites can become itchy and may leave red bumps and marks. Bed Bug bites may appear similar to a number of other insect bites. 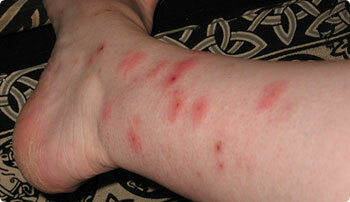 However, unlike those of other insects, Bed Bug bites appear in tight lines of multiple, small, red marks. Bed Bugs are not social insects, so groups of bites are most likely the result of one specimen continuing to feed upon its victim. Some bites leave large wheals, although these marks are not typically an indication of a serious problem and will fade to small, red marks within a few days. Bed Bug bites can cause itchiness. Initially, a victim may detect a slight burning sensation. The burning area then develops red bumps, known as papules or wheals. In extreme cases, bites may swell dramatically or turn into blister-like skin inflammations. However, many bites leave no mark and go completely unnoticed.